Seems we are constantly in planning mode and this month is no exception. We have three OnCue events coming up and I hope some of you will join us. We’ve welcomed participants from 40 states and 14 countries to Southern Illinois to soak up barbecue culture and knowledge. You can read descriptions of our programs here. We focus on both the cooking and business aspects of running a barbecue restaurant and attendees are both seasoned professionals and those new to the business. We constantly hear from past attendees that we shortened their learning curve. 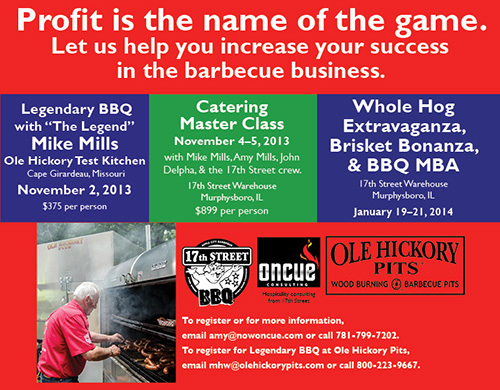 Established pitmasters come to our events to get new ideas and to fine-tune their procedures. We’re proud to have helped incubate several dozen barbecue restaurants across the globe, with several more opening within the next six months. Among the summer/fall openings are Peg Leg Porker, Nashville, Keaster’s Barbeque in Hattiesburg, MS, Hometown Barbeque, Brooklyn, Mac’s Texas Bar-B-Q in Brady, TX, and Gold Mine Barbecue in Denton, TX. We have a few spots left in each class. Email or call now to receive a registration form. If you’ve attended one of our classes, we’d love to hear your best takeaway in the comments below! Victory Lane was the MBN Grand Champion. We enjoyed a banner weekend in Murphysboro with our Praise the Lard–Murphysboro Barbecue Cook-off event. 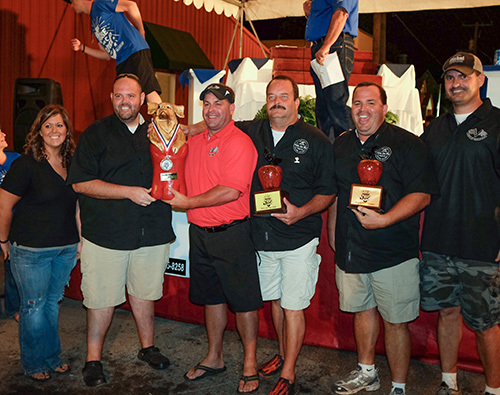 A record 84 teams vied for top honors in both the MBN and KCBS competitions. Our first-ever Kids’ Que had 15 total teams and some fierce competition. Below are the winners of each event … more details about the weekend will appear in a future post. 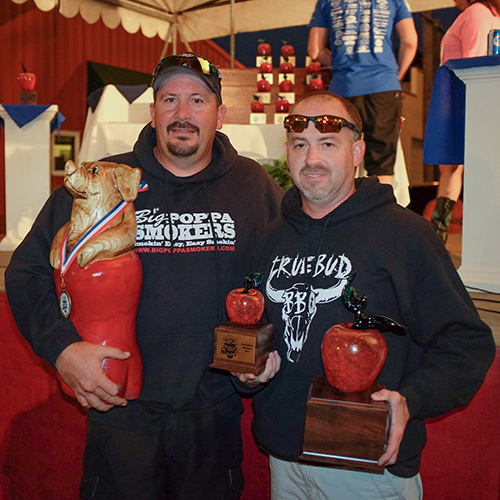 TRUEBUD won their 15th KCBS Grand Champion title. 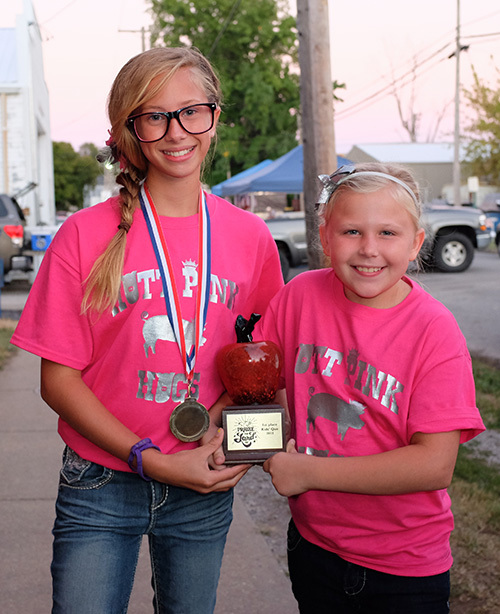 Kylie Graff and Maddie Guy won 1st Place overall in our inagural Kids’ Que.